11 Field Trips in the CSRA! We love back to school time! New teachers, cool classrooms, and geeking out on school supplies. This is a fun time of year and what is more fun than field trips!! 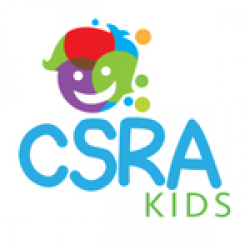 The CSRA is full of awesome opportunities for fun learning. Whether you’re a teacher, daycare owner, homeschool mom or a mother of a preschooler, here are some cool ideas for field trips that are sure to wow your little adventurers. Phinizy Swarm & Nature Park is located on 1100 acres and has 14 miles of biking and hiking trails. The park has a swamp shop and an education center. There is also a great playground! Phinizy offers a variety of educational opportunities for Pre-K through 12th grade. All programs meet both SC and GA educational requirements for Biology, Chemistry, Physical Science, Ecology, Environmental Science, Mathematics, Geology, Earth Science, Geography, and Economics. Palmetto Stables is local farm owned by the Jones Family. They offer a two-hour field trip that includes a tour of their horse stables and barnyard. Children can interact with their animals, play some outdoor games and receive a pony ride. The children will learn animal anatomy, how to care for animals, fun facts and more. The field trips are geared toward preschoolers and elementary aged children. Lucy Craft Laney Museum of Black History is located in Downtown Augusta. The museum celebrates the strong history of black individuals and their contribution to Augusta’s history. They also have art exhibits of local black artists. Looking at the different exhibits. Steeds Dairy is a local hotspot for fall activities. It is located in Grovetown. The 2018 field trip season begins September 24th and ends November 16th. The farm has tons of fun activities for your kids to enjoy. Click Here for the 2018 Educational Field Trip information. Click Here for the Homeschool and Mom Club Information. Storyland Theatre productions are held at the Grover C. Maxwell Performing Arts Theatre at Augusta University. The next show will be “Bilbo and the Magic Ring” on October 23th – 27th. All shows are performed by adults and geared towards elementary and middle school aged children with a fairy tale theme. They do have special rates for homeschool groups, but reservations are required for all school groups. There is also a Saturday Family Matinee that doesn’t require a reservation. The Aiken Train Museum is located directly above the Aiken Visitors Center – Downtown Aiken. The Museum has hands-on interactive stations that teach the history of trains in the CSRA area. In addition, there are three life-sized trains on site and a park across the street from the museum. If you are a small group, they have puzzles in the visitor’s area for the kids. Redcliffe Plantation is a great place to take the kids to learn about 19th-century history while exploring a historic mansion and slave quarters.There is tons of space to allow the children to roam and play. Pack a bagged lunch and perhaps some outdoor games for the kids to play. Discover Carolina Curriculum-Based Tour – 3rd – 5th Grade. Call for Pricing. Student House and Grounds Non-Curriculum Tour – Standard Tour of Mansion and Slave Quarters and Can Be Fined Tuned Based Off Need. Learning about Plantation History and Touring the Grounds. Reed Creek Nature Park and Interpretive Center is a CSRA Kids favorite. They offer field trips for school groups and homeschoolers. They can offer various courses and activities for your group. The programming will meet education standards. Kids can enjoy meeting various reptiles, animals and they can take a walk on their trails! Mistletoe State Park is a nature lovers dream. If your kids love to explore the great outdoors this would be a perfect trip. Mistletoe State Park offers tons of educational opportunities for all ages. They offer Homeschool Adventures, which is a theme based program, that teaches on different things in wildlife. They have crafts, paddling, camp nights and more! Augusta Museum of History is located in Downtown Augusta. The museum is full of fun, hands-on interactive exhibits. Your kids can explore artifacts of the civil war, climb into a trolley and a real train. They can hear the awesome music of James Brown and learn the history of the Masters. Price of admission is affordable and it is extremely fun! Climbing Into the Trolley and Train Car. Pressing Buttons and Hearing James Brown Music. Looking at Old War Weapons and Much More! Living History Park is a fun day trip! This beautiful park is located in Downtown North Augusta. Kids will be transported to another time in history. The park has cabin replicas, a mill, and much more. They have frequent events that brings colonial life alive. Check out their upcoming event, “Colonial Times: A Day to Remember”, in October. Call to ask about special education days and homeschool student trips.